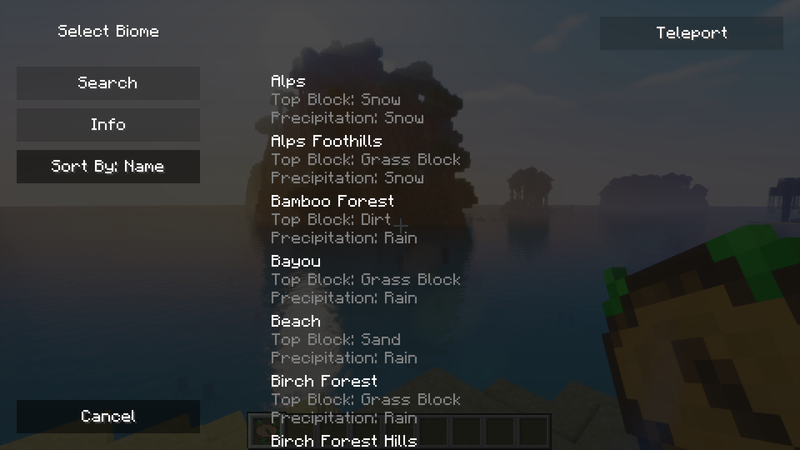 Right-clicking with Nature's Compass in hand will open the biome selection GUI, from which you can search for a biome or view information about it. Shift-right-clicking will reset the compass's state. When the compass is not pointing at a biome, it will point at the world spawn. The compass supports all registered biomes, both vanilla and modded. Sample space and maximum search distance can be adjusted in the config file. 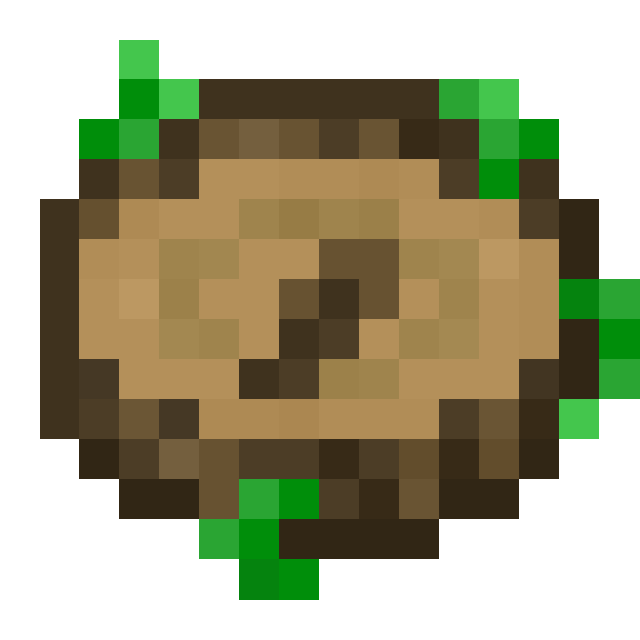 Saplings and logs use the ore dictionary. 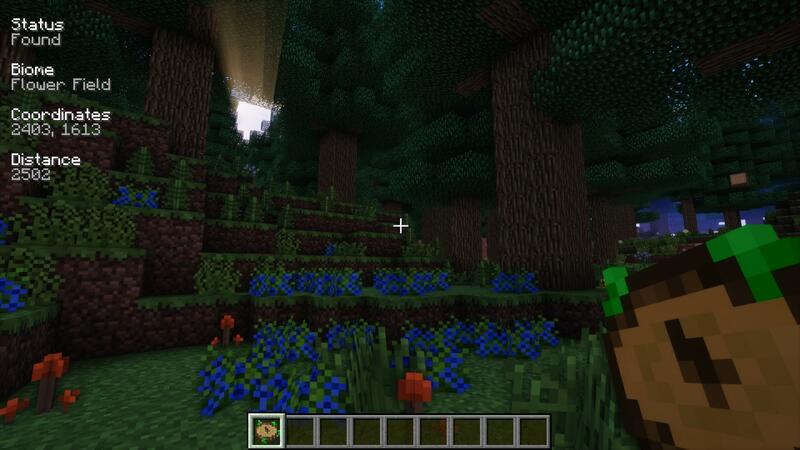 Does this Mod work with the Biomes o' Plenty mod? 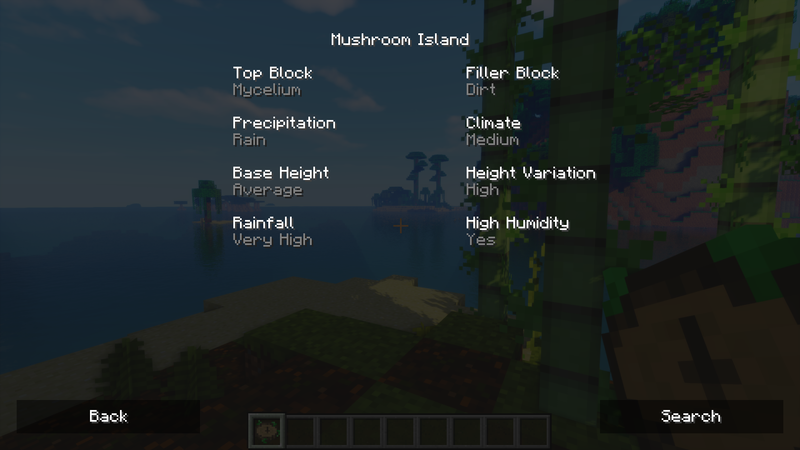 Yes, this mod will work with every biome-adding mod, including BoP. I actually can't seem to get it to work with Open Terrain Generation packs like the biome bundle. Could you please add support? I have read a post about biome bundle that it's biomes still use vanilla biome id which make the game and any other mod see them the same as vanilla so that may be why you can't find it in nature compass. It may not be possible to do support for biome bundle. The 1.7.10 crashes every time I try to right click...? Are you using the latest version of the mod? If so, if you post the crash report I can take a look and try to resolve the issue. Could you please upload the crash report to pastebin.com and send me the new link? The current link you gave requires me to create a Ubuntu One account. Update to 1.7.10-1.4.0. This issue has already been fixed. Where can I download that version...? My mistake! When checking out the issue I noticed that I had already fixed this issue and pushed the fix to GitHub over 5 months ago, so I assumed I had already released the fixed build as 1.4.0. Turns out I only released the 1.4.0 build for 1.12 recently. I've released version 1.3.1 for 1.7.10, 1.10.2, and 1.11.2 with the fix. Sorry for the confusion. I have a texture error. I use Forge 14.21.1.2387 for the 1.12. Can you please post a screenshot of the texture issue? I have not been able to reproduce it myself. Thanks for the 1.12 update. Great mod! The Essential tool for exploration & resource gathering! I love it! Here's my Showcase!